oikos LEAP is designed to inspire young leaders to become more responsible in their decision making and equip them with insights, knowledge and tools to do so. oikos LEAP challenges participants to reflect on themselves and their values. Whilst adopting and sharing the lessons learnt in their chapters, participants practice sustainable leadership. The result is strengthened chapter performance and greater impact in line with the oikos mission. These basics will, moreover, accompany participants throughout their lives and result in change towards sustainability. To summarize this purpose, we chose to name this program LEAP, in order to collectively and eagerly leap forward to a world of more sustainable leadership. oikos LEAP operates three tracks: Advanced, President and Basic. All tracks are intended to inspire participants to take increasingly responsible actions. The utilised methods aim to embed principles of reflective action and learn-by-practising. In all tracks, the learnt knowledge, competencies and tools are expected to be implemented in oikos-related work and participants’ personal lives. The Advanced Track is a voluntary commitment to go through a joint development process. The Advanced Track includes a series of online and offline modules that are based on the principles of experiential learning supplemented by three guiding methodological concepts: exploring, sharing-practicing and reflecting. This track is open to any active oikos members. 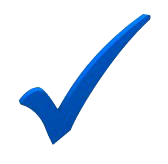 Participants that complete the process will be assigned a personalised certificate. Go to the LEAP Advanced Track. All chapter presidents are encouraged to take part in the President Track. This includes LEAP Meetings (former Presidents’ Meeting) occurring before oikos FutureLabs and Spring Meetings, and three online webinars. The Basic Track is open to all interested oikos members. This track consists of three online webinars. oikos LEAP is designed to inspire young leaders to become more responsible and sustainable in their decision making and equip them with insights, knowledge and tools to do so. Read the article about the LEAP Midterm Meeting in March in Belgrade here and find out more about the learnings of participants. LEAP Advanced is the most intensive of three LEAP tracks. The program is open to all oikos members and will soon be opened up beyond. Time: Circa one hour per week (on webinars, reflections, individual coaching and peer2peer discussions) + two onsite meetings (in October 2018 and in March 2019. Hours invested in the practice aspect of oikos LEAP vary according to participants’ individual engagement in their chapter or community. Duration: 7 days at the oikos LEAP Meeting from 19th to 25th of October 2018 in Leysin, Switzerland, 1 day meeting prior to the Spring Meeting 2019 and 3 webinars. 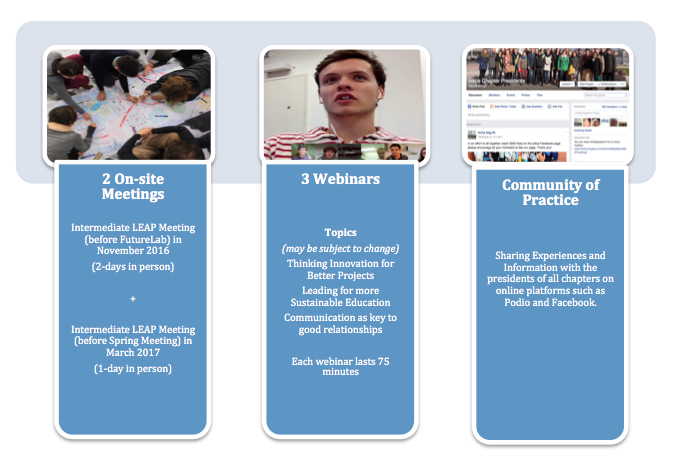 Time: Participation in the offline meetings and webinars and implementation of lessons learnt. Practice and online exchange (for example on the oikos Intranet) are also highly recommended. Eligibility Criteria: All presidents of active chapters and the international Executive Board. During the LEAP Meetings, before the FutureLab (7 days) and Spring Meeting (1 day), participants from this track will experience leadership development days. This is a key part of the program as participants have the opportunity to meet and interact face-to-face. Participants will acquire knowledge that enables personal growth, as well as practical skills for improving their chapter’s perfomance. 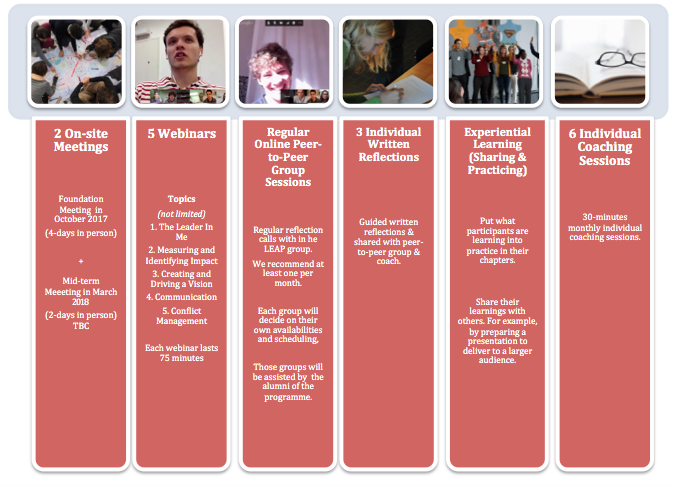 Webinars are learning modules addressing topics that give participants an insight into leadership topics. Webinars allow to gain more specific knowledge on a topic. The webinars will be conducted by experts and recorded (when consented by the expert). Time: Participation to the webinars. Scope: Any interested oikos member. 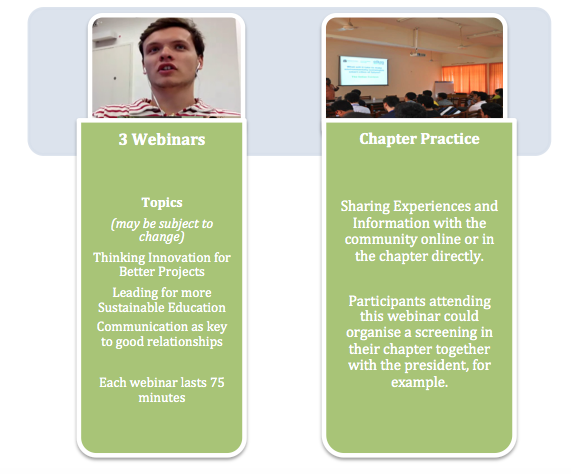 Learning modules (webinars) addressing topics that give participants a taste of the importance of responsible leadership. The webinars will be conducted by experts and recorded (when consented by the expert). The next open webinar on “Importance of Culture and how to create engegament” with Colin Browne is on the 6th of February, 6:30pm CET. Colin Browne, universally known as “The Culture Guy”, helps companies increase employee engagement, performance and loyalty. He is the author of How to Build a Happy Sandpit. A ground-breaking book based on several years of research inside Southern African businesses and the founder of Happy Sandpit. To have access to the webinar and recieve the zoom link and password please register your email here. We will send you the link on the 5th of February. Read the article about the LEAP Meeting 2018 here. In the beautiful village Leysin in the swiss alps, more than 60 participants from different nationalities and a common passion met from 19th to 25th of October. 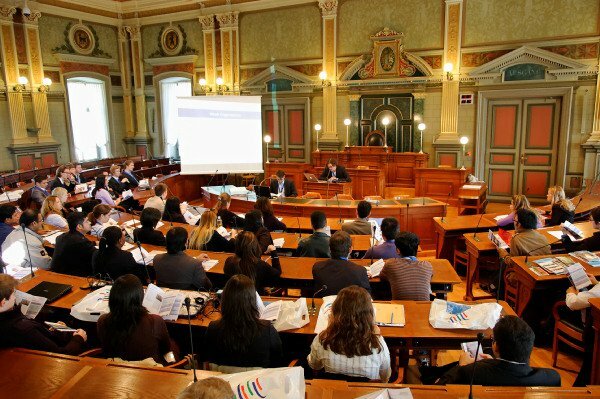 The oikos LEAP Meeting was a crucial gathering for representatives from around the world. Preceding the FutureLab, the Meeting gathered representatives of the oikos LEAP President Track and LEAP Advanced Track. We had special participants from organizations working on similar vision as oikos such as rootAbility, National Union of Students UK, REFEDD and Euforia . The meeting started 16pm CET on October 19th in Leysin and finished in the evening of October 25th in Geneva. Throughout seven days, more than 60 participants developed leadership competencies, improve their understanding of oikos, dive deeper into sustainability and acquire knowledge and skills to advance and improve their impact. The group will become a support group and take part in various experiences. Some sessions focused only on Presidents Track participants and others were open to all participants. The LEAP Meeting in October 2018 had exclusive sessions for participants of the Presidents Track. Every chapter was entitled to bring ONE representative of their chapter to participate on those sessions, generally the president of the chapter. During those sessions, we discussed the future strategy of oikos and daily challenges of leading a chapter and exchange experience to improve chapter’s performance. All participants of the Presidents Track could decide to join the Advanced Track by the end of the meeting. This entitles a 9-month leadership journey. You will learn to be more conscious of your own actions, better understand your own values and purpose, learn to truly listen to others and to yourself, and gain confidence to lead and inspire others to make a lasting impact in your community. The LEAP Meeting in October is a key part of the programme as participants have the opportunity to meet and interact face-to-face. Participants will acquire, not only knowledge enabling personal growth, but also practical skills to improve leadership in their chapters. The accommodation is a Hotel in the beautiful village Leysin in the swiss alps, about 2 hours from Geneva. What time should I arrive on October 19th? In order to make the most of the program, you should plan your arrival for 14.00 CET at the Hotel. What time will the meeting be over? The meeting will be finalized after lunch on the 25th of October. After the last workshop in Geneva the Legislative Meeting will be held. We encourage you to take part in this important meeting. How should I book the tickets to the LEAP Meeting? Please book your tickets to arrive in Leysir and leave from Geneva. On the 25th the whole group will go to Geneva with a bus, which is cvered by oikos. If you are entitled of Movetia Grant (European chapters + Azerbaijan and Georgia), in order to get reimbursed (up to 400 CHF), your ticket needs to be booked in second-class transportation only. I am participating in the FutureLab, will we go to Geneva together? The last day of the LEAP will be in Geneva already and we will go there all together by bus. This bus is covered by Oikos. I am NOT participating in the FutureLab, when should I leave? If you are participating on the Legislative Meeting, please book your ticket to leave Geneva the next day. The Legislative Meeting will take place from 16:00 – 19:00 in St. Gallen. I am part of the LEAP President Track, what does it mean? It means that few sessions of the LEAP Meeting will be exclusive to you, participant of the LEAP President Track. During those sessions, we will discuss the future strategy of oikos and daily challenges of leading a chapter and exchange experience to improve chapter’s performance. All participants of the Presidents Track can decide to join the Advanced Track by the end of the meeting. This entitles a 9-month leadership journey. You will learn to be more conscious of your own actions, better understand your own values and purpose, learn to truly listen to others and to yourself, and gain confidence to lead and inspire others to make a lasting impact in your community. Will any preparation be required for the meeting? We will also send a Preparatory Guide to you via email prior to the Meeting and have a call with the participants to meet and clarify questions on the 25th of September at 6pm CEST. Am I entitled to any travel reimbursement for attending oikos LEAP Meeting 2018? A business-casual attire is preferred for this meeting. A collection of learning material (books, articles, videos, etc.) will be at the disposal of the participants. It is up to each participant to take advantage of the material and deepen one’s understanding. The creation of the Toolbox is a common effort of the participants and the organising team, taking place via their intranet on Podio, which participants also use to communicate on everyday problems they incur. John is a Co-founder and Chairman of LeaderShape Ltd.
John has a Senior Executive Coaching Award from The Oxford School of Coaching & Mentoring, lectured at the University of Oxford on leadership development and was Honorary Lecturer at the University of Chester in the field of Work Based Learning. 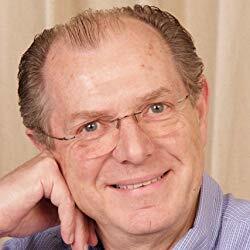 He is an expert in Transpersonal Leadership which incorporates emotional intelligence, spiritual intelligence and neuroscience John also has recognized expertise in culture change, corporate strategy, organizational development, acquisitions and joint ventures, business finance, and marketing and sales. John leads LeaderShape’s programme to develop as a global organisation and works with major corporations, governments, not-for-profits, higher education and SMEs. Daughter of a teacher and an entrepreneur, Hanna understood the importance of education and business since she was very young. At the age of 11 she started to teach and with 12 years old she created her first company. She studied Business and specialized in Strategic Planning and Management Development, as well as in Leadership, Culture and Diversity. 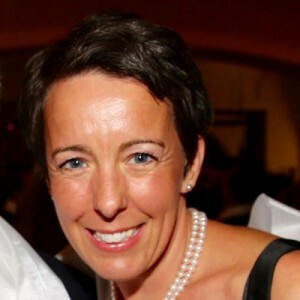 During the last 19 years, she has worked around the world in large organizations in Leadership Development, Education, Consulting, Oil & Gas, Engineering and Mining, as a Human Resources Leader, helping thousands of leaders in all 5 continents to develop themselves and improve their management skills and business performance. Currently a Trainer, Development Facilitator, Investor and Entrepreneur in the Education Business, Hanna is one of the most energetic speakers nowadays that travels the world fulfilling her mission: inspire and empower people to be free, so they can develop their own potential and have freedom of choice, while respect diversity. She is passionate about leadership, cultural differences, women empowerment, people development and education. She also leads a non-profit project that supports children to create a better future for themselves, their families and the world. Our speaker, Tim Peek, is an Emmy award-winning journalist, former NBC News executive, and today works as a leadership consultant and coach. He has spoken to investment groups, professional associations and at corporate annual meetings about the ways consciousness and strategy interact in the business world. Dr Geoff Scott is Emeritus Professor of Higher Education and Sustainability at Western Sydney University, Australia. From 2004-12 he was Pro Vice-Chancellor (Quality) and Executive Director of Sustainability at UWS. During this time he led a range of successful external quality audits and established RCE-GWS. He is a widely published author on change leadership, professional capability, assuring achievement standards and quality assurance in higher education. His book Turnaround Leadership for Higher Education with Canada’s Michael Fullan (2009) was nominated for the 2010 US Colleges Bellwether Award. He is a former director of the Australian Council for Educational Research, a Fellow of the Australian College of Education, a member of TEQSA’s Panel of Experts and a higher education auditor and consultant in many countries. From 2014-16 he was a National Senior Teaching Fellow with Australia’s Office for Learning and Teaching. In 2007, he was the Recipient of the Australian Higher Education Quality Award. 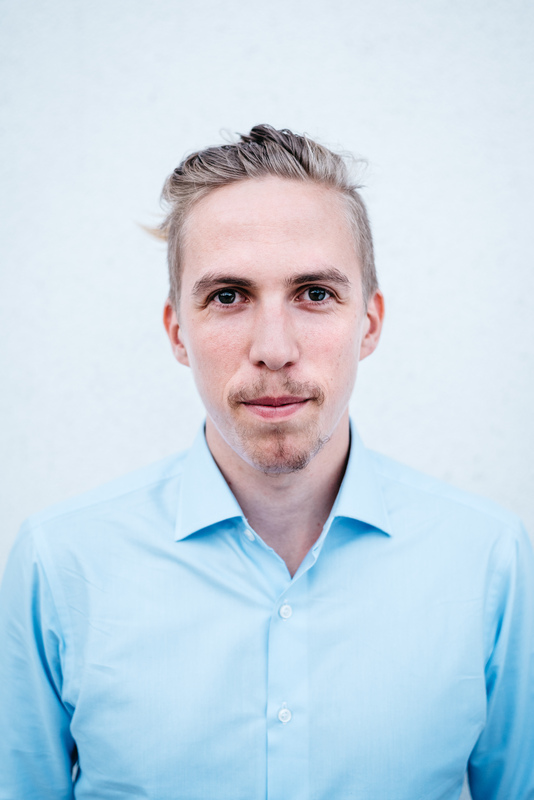 Daniel calls himself a “third culture kid at home in innovation, entrepreneurship, startups, social business, sustainability, and all things digital.” His background ranges from music, over marketing and events, to a number of social startups. Daniel is passionate about building communities that empower people to take collaborative action on their ideas for a better world. He has conducted numerous projects and grown businesses in the sustainability realm. To name a few, he co-founded MakeSense, an online matching-platform for social entrepreneurs, co-authored the book “Phase 0 – How to make some action” (http://www.phase0.org/), established the silent climate parade and now works with the UN environmental program to connect the landscape of green entrepreneurs in the MENA region. Find out more about Daniel & his projects at projecthires.com. 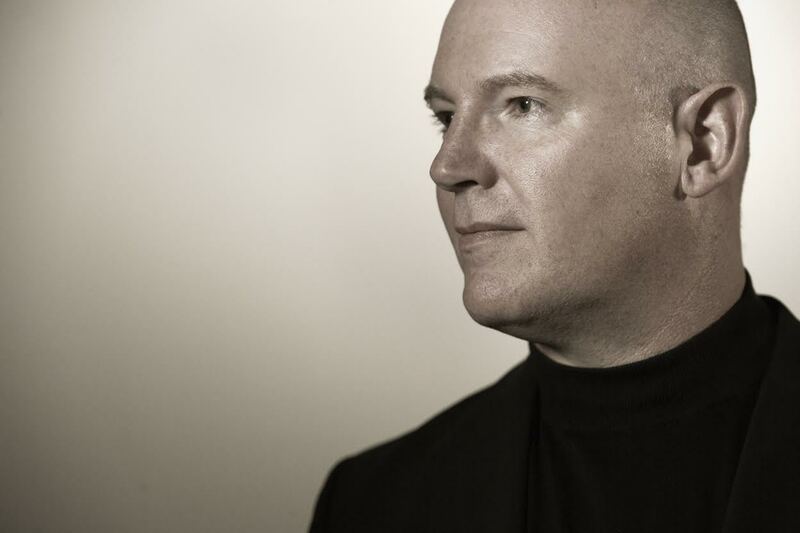 Julian Treasure is chairman of The Sound Agency, a UK-based audio branding consultancy specialising in soundscapes that increase dwell time in major shopping malls worldwide. His book Sound Business is the seminal work on intentional, effective business sound. Julian has been widely featured in the world’s media and is a top-rated international speaker. His five TED.com talks on sound and communication have been viewed over 20 million times; the latest is in the top 30 TED talks of all time. Michèle Joanisse is a seasoned development professional with 23 years of work experience in the philanthropic sector. During her career, Michele raised over 330 million euros for medical education, research, and humanitarian projects. She currently holds the position Head of External Relations at DNDi – Drugs for Neglected Diseases initiative in Geneva since October 2012 where she is leading a campaign to raise €200M by 2018 to find better treatments for neglected tropical diseases such as malaria, sleeping sickness, Chagas disease, leishmaniasis, filarial diseases and pediatric HIV. She is working with an international team of 14 staff based in New York, Rio and Geneva. To date, her and the team secured €187M for R&D projects from governments, foundations and high net worth individuals in Seattle, London, Geneva and Tokyo. Prior to DNDi, Michele raised funds for the Faculty of Medicine at McGill University in Montreal, Canada for seven years. From 2006 to 2012, she lead a CDN$130M campaign and exceeded her goal by CDN$25M two years ahead of campaign close. Specifically Michele secured multi-million dollar gifts from alumni, the corporate sector, foundations and high-net-worth individuals to advance epigenetics research, nursing, autism, pediatric musculoskeletal diseases, urology, cancer, Parkinson’s and Alzheimer diseases and established a series of university-hospital endowed chairs, doctoral and post-doctoral fellowships and student awards. From 1998 to 2006 Michele lead the fundraising team at Médecins Sans Frontières in Canada. During her eight year with MSF, she grew the fundraising program from a CDN$1M to CDN$22M annually through a multi-facetted direct marketing strategy which included direct mail, street canvassing, telemarketing, online fundraising along with establishing a major gifts & planned gifts (legacies) program. 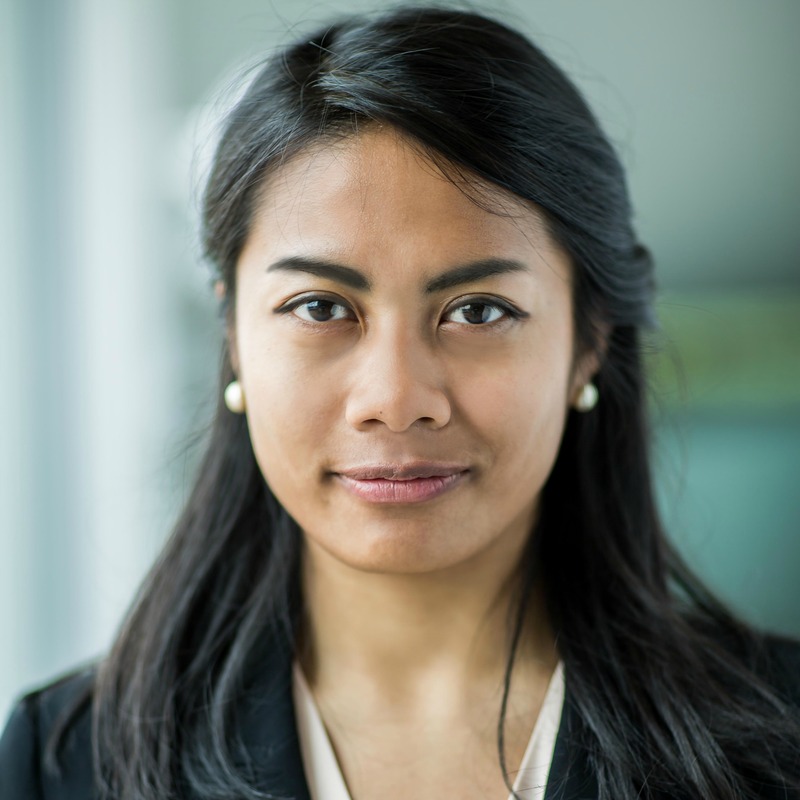 She also developed & directed three ambitious fundraising strategic plans and lead a London-Berlin-Amsterdam-Toronto strategic planning exercise to map-out the best financial investment strategy to raise funds globally. 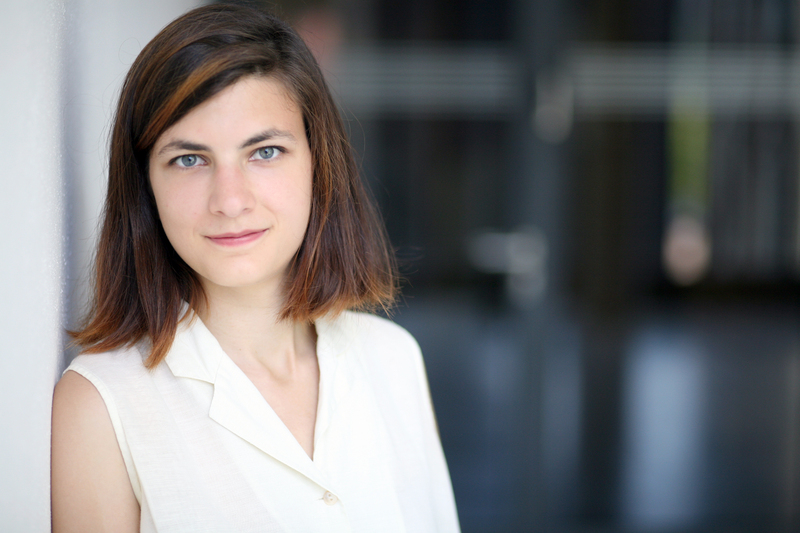 She continues to be involved with MSF as a volunteers and moderates international debates for the movement. Experienced in generating revenues through diversified fundraising program, Michele has manage large departments and complex cross-sector partnerships to meet her targets. 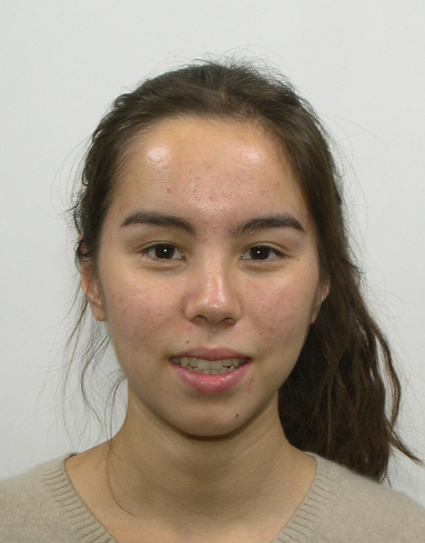 She is fluent in both English and French with a deep knowledge of the medical and educational sectors. 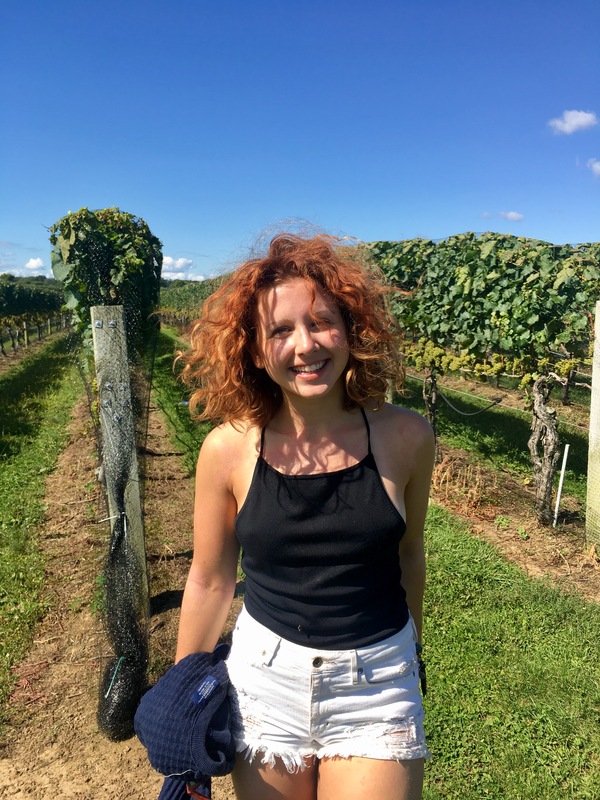 She graduated from the University of Ottawa with a BA in Communication and Management and is currently completing a Certificate in International Organisation Management at the University of Geneva. Dr. Majidi is a university professor and international consultant in sustainable socioeconomic development and cross-cultural management. 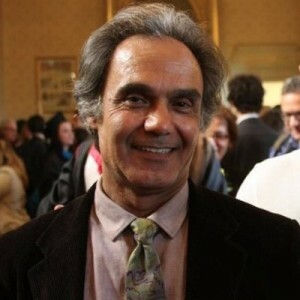 He has served as the Chair of International Business Administration (IBA) Department at the American University of Paris (AUP) and Director of a graduate program he created on cross-cultural and sustainable business management. In these positions he has strategized and implemented a new vision across the department to integrate business management education with liberal arts and aligning its learning objectives with the United Nations Principles for Responsible Management Education (UN PRME) objectives creating a balanced technical skills and holistic understanding educational approach. His recent professional interest and academic research are focused on cultural values and sustainable development while extending his work toward secular spirituality and sustainability. He advocates social entrepreneurship as an effective initiative for socioeconomic transition toward sustainable development. His consulting projects include assessment of innovative projects and innovations for commercialization, educational curriculum development, professional training programs, industrial development, workforce development, and the design of a solution to measure, monitor, and evaluate the dynamics of the socioeconomic progress of a country based on international standards indexes. He has worked at, and consulted for, Coopers and Lybrand (C&L), PricewaterhouseCoopers (PwC)’s Global Consulting and IBM Global Business Services, at the U.S. Agency for International Development (USAID), the U.S. Department of Defense (DoD), the U.S. Department of Education (ED), the World Bank and the National Technology Transfer Center of Kazakhstan (World Bank grant initiatives). Read more about his projects here. In The 7 Habits of Highly Effective People, author Stephen R. Covey presents a holistic, integrated, principle-centered approach for solving personal and professional problems. With penetrating insights and pointed anecdotes, Covey reveals a step-by-step pathway for living with fairness, integrity, honesty, and human dignity — principles that give us the security to adapt to change and the wisdom and power to take advantage of the opportunities that change creates. With a balance of theory and practical examples, this guide to personal and professional life describes seven principles of life management. Targeted toward anyone who is interested in personal change, it guides you through private victory, public victory and renewal. More info here. “Building the Bridge As You Walk On It” tells the personal stories of people who have embraced deep change and inspired author Robert Quinn to take his concept one step further and develop a new model of leadership “the fundamental state of leadership”. The exploration of this transformative state is at the very heart of the book. Quinn shows how anyone can enter the fundamental state of leadership by engaging in the eight practices that center on the theme of ever-increasing integrity – reflective action, authentic engagement, appreciative inquiry, grounded vision, adaptive confidence, detached interdependence, responsible freedom, and tough love. After each chapter, Quinn challenges you to assess yourself with respect to each practice and to formulate a strategy for personal growth. More info here. A tribe is any group of people, large or small, who are connected to one another, a leader, and an idea. For millions of years, humans have joined tribes, be they religious, ethnic, political, or even musical (think of the Deadheads). It’s our nature. Now the Internet has eliminated the barriers of geography, cost, and time. All those blogs and social networking sites are helping existing tribes get bigger and enabling new tribes to be born―groups of ten or ten million who care about a political campaign, or a new way to fight global warming. Who is going to lead all these tribes? The Web can do amazing things, but it can’t provide leadership. That still has to come from individuals―people just like you who have passion about something. Anyone who wants to make a difference now has the tools at their fingertips. If you think leadership is for other people, think again―leaders come in surprising packages. Ignore an opportunity to lead and you risk turning into a “sheepwalker”―someone who fights to protect the status quo at all costs, never asking if obedience is doing you (or your organization) any good. Sheepwalkers don’t do very well these days. Tribes will make you think (really think) about the opportunities for leading your fellow employees, customers, investors, believers, hobbyists, readers…. It’s not easy, but it’s easier than you probably imagine. More info here. How to inspire leaders to grow by Omid Aschari. He will be with us at the Presidents’ Meeting! Lea is Dutch and German and grew up in Brussels. 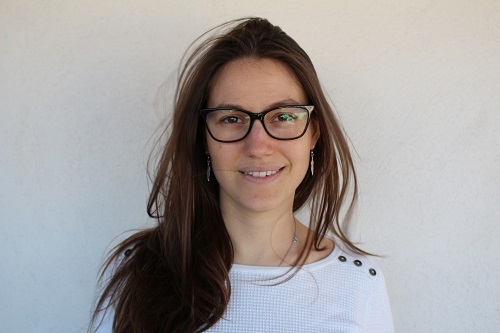 She has a BSc in Economics & Business from Erasmus University Rotterdam and is studying for a double MSc in Economic Development and Growth from University Carlos III Madrid and Lund University. Her practical experiences in the public, private and third sector spans 4 continents. She is particularly interested in the energy sustainability aspects of current economic systems and pursues this interest through experiences such as the Climate-KIC summers school and her current engagement as president of oikos Lund. Lea enjoys reading, vegetarian cooking and backpacking. My name is Alienor Hammer, I’m half French, half Chinese and I have grown up in London. I’m now a second year student in Environmental Policy with Economics at the London School of Economics and Political Science. I really love the idea of sustainability and feel strongly about it because I am passionate about nature. I’m an amateur nature photographer and I seek to encourage sustainability and protection of our environment by showing the beauty of nature. In my opinion, sustainability is not just a tool but a state of mind and that’s why I joined oikos at university and I haven’t regretted it! 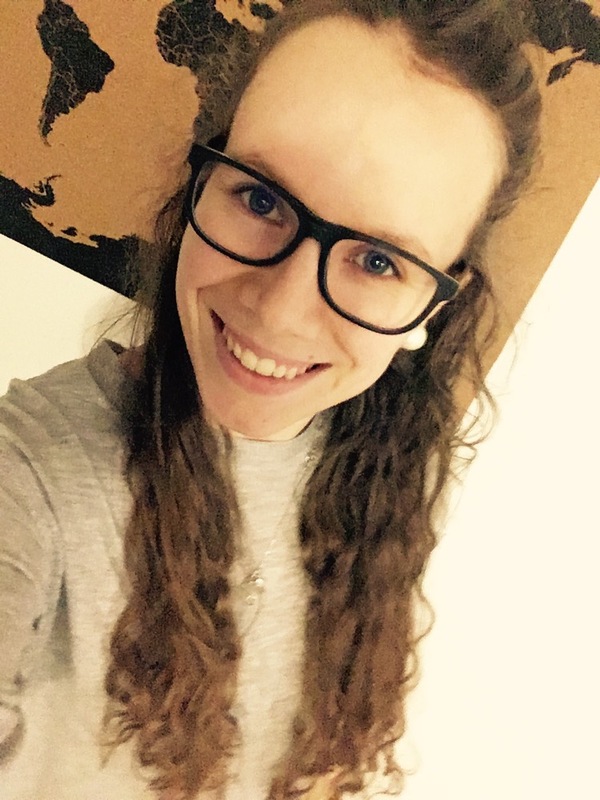 My name is Annemarie Sindler and I’m studying environmental system science with a major in economics and business administration at the University of Graz. Now I’m at the end of my studies and writing my master thesis dealing with volatile renewable energy forms, like wind and solar, and the related grid problems occurring with high penetration rates. 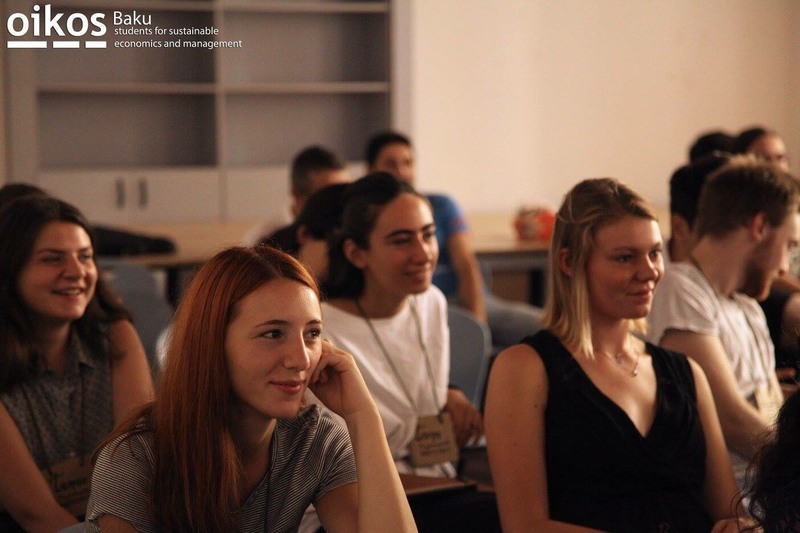 When I started studying I became interested in sustainability related issues, which also led me to become a part of oikos Graz. Due to my work as a student assistant I found my love for sharing knowledge with others, which I can also do through oikos. In my free time, I like to read books, listen to music, especially Jazz, but I also love relaxing in quite places, preferably outside. 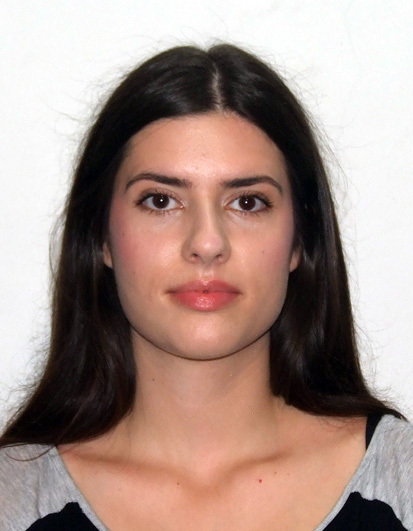 My name is Magdalena Jarošová and I am studying Information Media and Services as my Bachelor’s degree study. I am now interested in studying and researching disinformation and fake news. 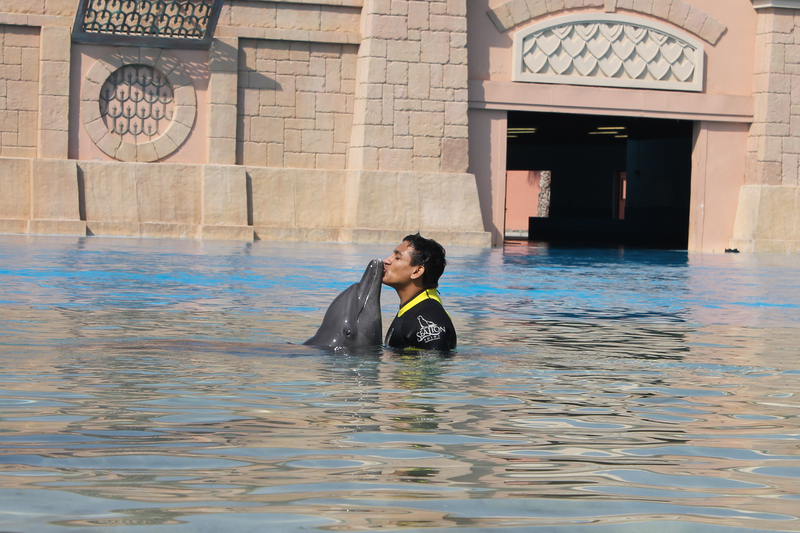 I am animal lover and I enjoy traveling and hiking. 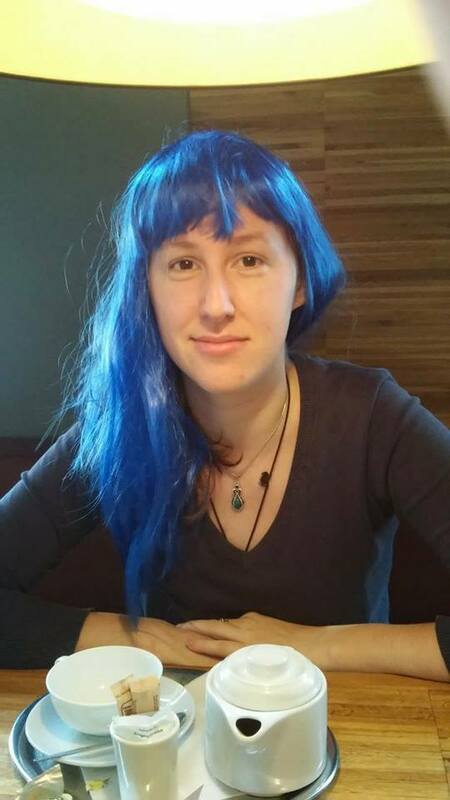 And because I couldn’t find better recent photo, there you have me in blue wig. My name is Vladimir Leuridan and I’m currently specializing in Business Administration. I love good food, good people and most of all, I cherish the place where we live. I joined oikos Brussels in 2013 to take part of the collective effort to turn back global warming and by extent, push back the boundaries of ignorance within my institution. My fields of interests include mostly sustainable development, meteorology and biology. Nevertheless, I’m much more knowledgeable in the first field in which I aim at writing a thesis about co2 offsetting. In this respect, I’ve just started an internship in a company whose core business is carbon reporting and carbon consulting. (here is their website https://www.co2logic.com/en ).I hope to have already collected full of info about the subject for the upcoming LEAP meeting and I’m looking forward meeting you all there! I’m pursuing a Master’s degree in Materials Science and Engineering at the Ecole Polytechnique Fédérale de Lausanne, Switzerland. From a young age, I’ve had an interest in sustainability and wish to develop a career in cleantech. At oikos, I’m occupy the role of treasurer and am in charge of relations with oikos international, as well as participating in some projects. Apart from oikos, I spend my free time doing sports (handball, triathlon and dance). I am Dolly Rohira. 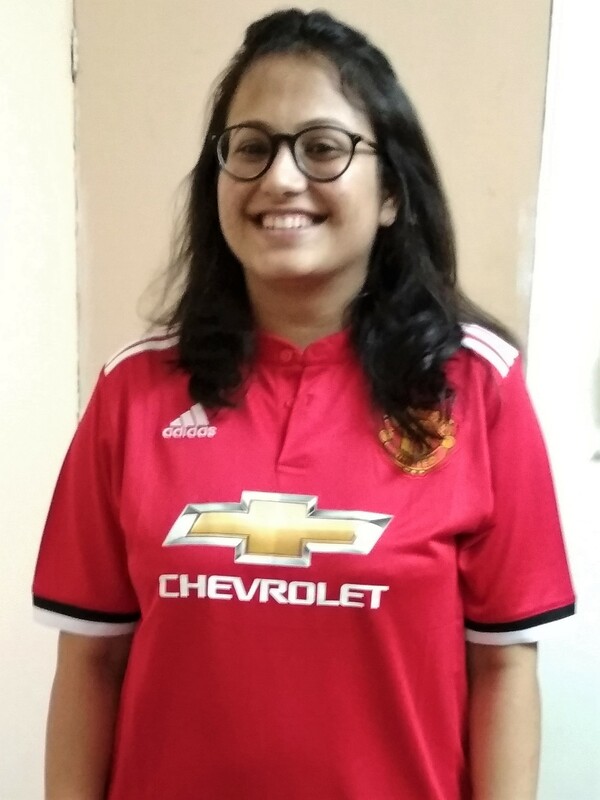 Born and brought up in Gwalior, a historical city of Central India, I am an Electronics and Telecommunication Engineer and have worked as a Business Analyst in Mu Sigma. I am currently pursuing MBA in Human Resource Management from XLRI, Jamshedpur. I am interested in books and in psychology. I am passionate about food, tea and traveling and I love spending time gazing at the stars. I am Arun Kumar. I am a member of oikos New Delhi, India. Right now I am pursuing MBA in international Business from Department of Commerce, Delhi School of Economics, University of Delhi. I am a fun loving person. I do like to meet different type of people. I do like to help people. Areas of interest include politics, social issues social work and cricket. 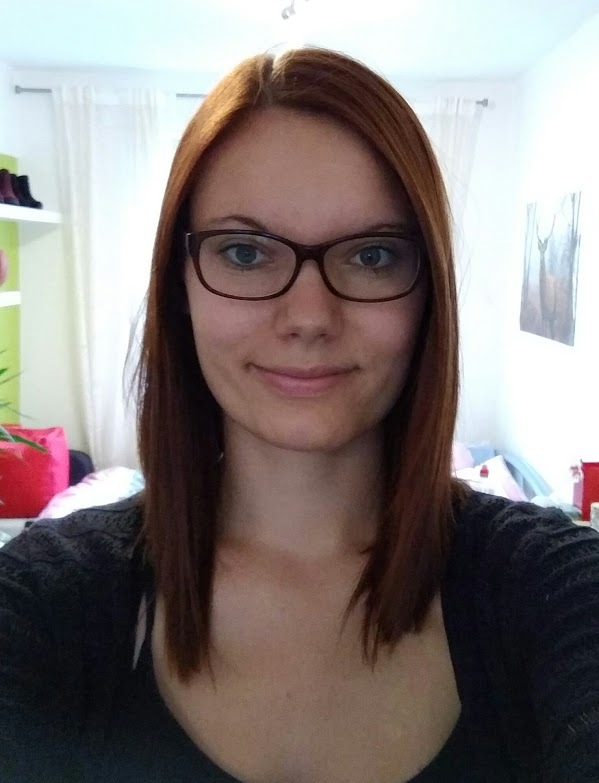 I am Hannah, 24 years old and study Business and Human Resource Education in Paderborn (Germany). I already participated in the last LEAP and also participated in other self and world explorative seminars. In oikos I am engaged because I share the deep believe that new approaches are necessary in order to transform harmful human activities through consciousness so that sustainability rather than short-term interests. The LEAP gave me some tools to recognise my behavioral pattern and myself better and get closer to my potential, which I believe everybody has. 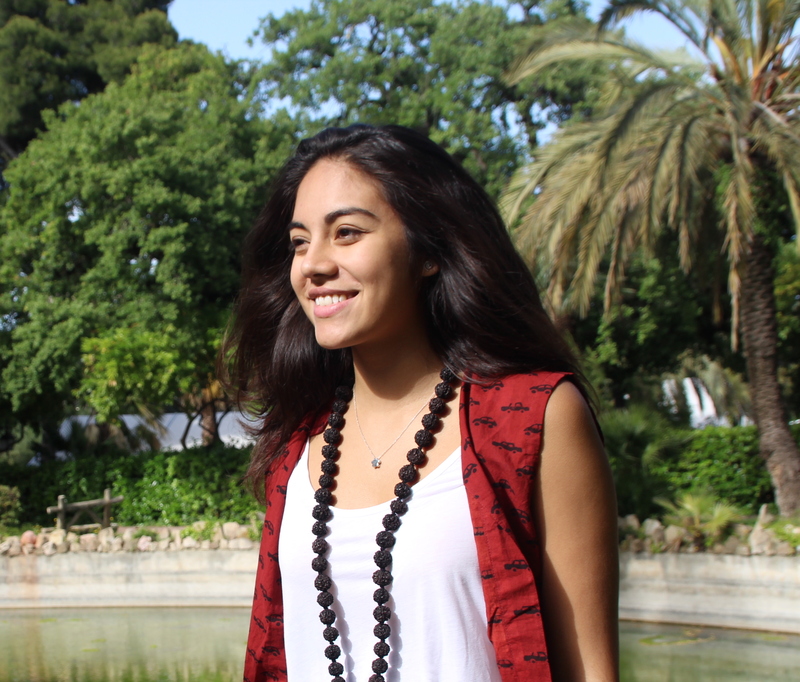 I am Camila Carrascal, currently studying Business administration in Barcelona. This year, I became President of oikos Barcelona and in 2018 we are hosting the oikos Spring Meeting. My objective is to be a leader for them, inspiring, guiding and learning at the same time from my team and from the whole oikos community. I spent half of my life in Colombia and the other half in Spain, as a result, I am a traveller lover open mind person willing to discover other cultures and explore the opportunities the world has to offer. I consider myself optimistic and hard worker, maybe a little bit ambitious, because I want to make the world a better place. 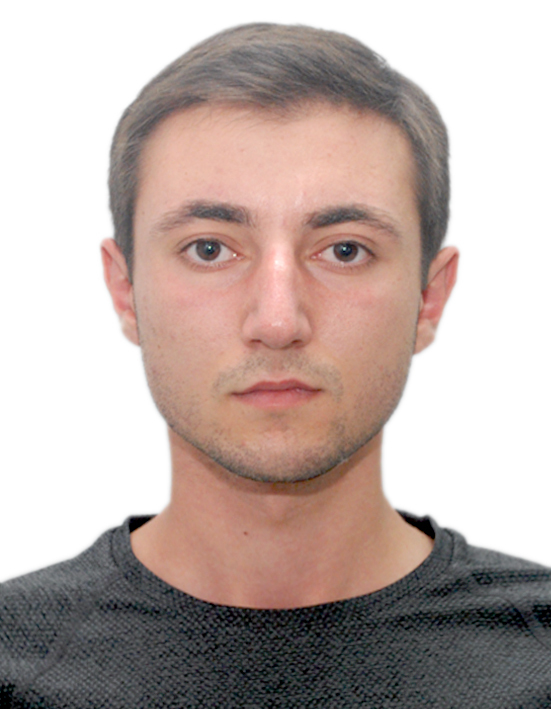 Stefan Dedovic is a student of the fourth year at the Faculty of Political Science, University of Belgrade, Serbia. Stefan has great international cultural experience gained through various exchanges during his life. Activities he likes the most is singing, traveling, and exploring, so with him there is no lack of fun. Passionate about sustainable development, and in future want to become Global Development Leader. Very grateful for being part of amazing oikos family and opportunity to exchange ideas with talented and successful young oikees minds. 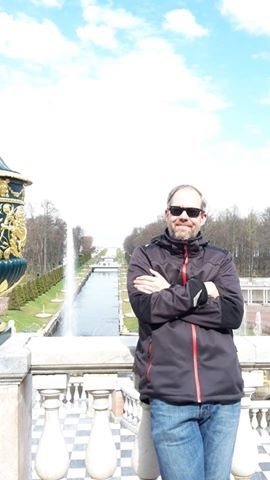 I am the President of oikos Warsaw since June 2017. I am studying quantitative methods in economics and information systems at Warsaw School of Economics. 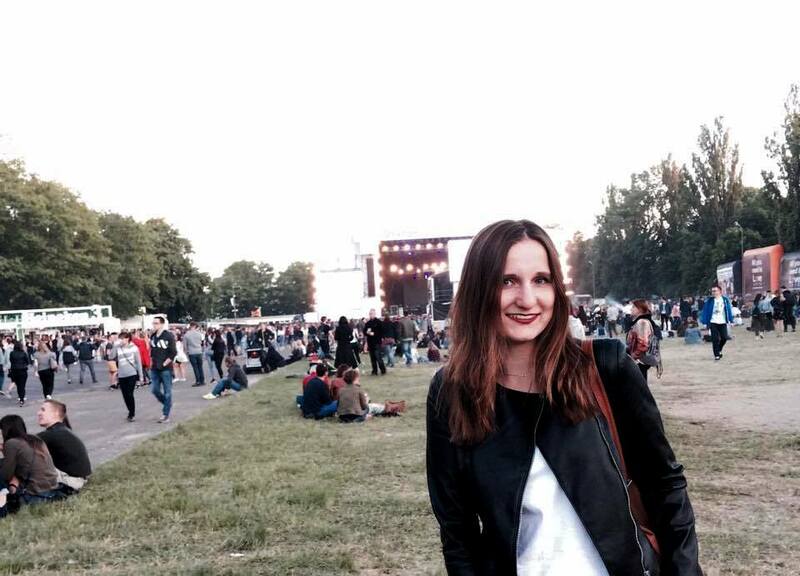 At present, I am working as junior media planner in Mindshare Poland. I am interested in data analyzing and environment protection. I actively participate in different projects concerning sustainable development. 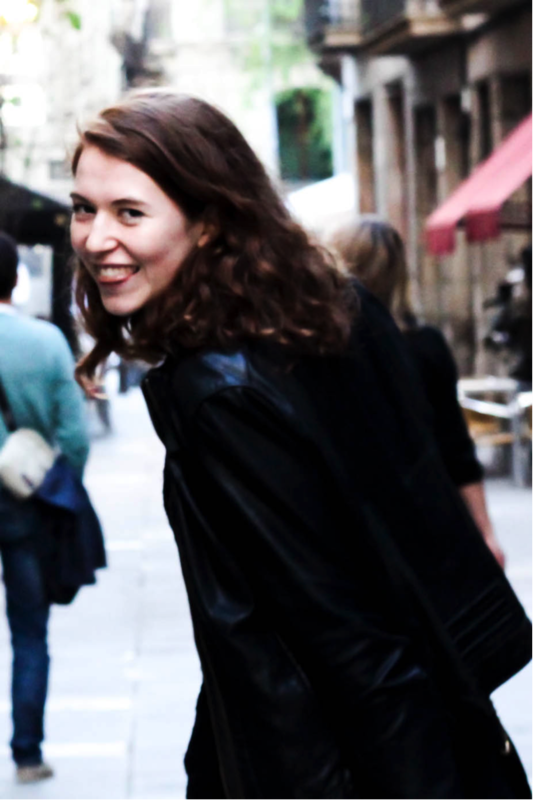 I´m Eliane Blauth, 24 years old and I live in Leipzig in the east of Germany. In October I start the second semester of my Master degree programme in physics. In my free time I like to do a lot of sports, my favorites at the moment are running, Yoga and hiking. In October 2016 I joined oikos Leipzig because I’m interested in topics like sustainability, degrowth and climate justice. Since February 2017 I’m a board member of oikos Leipzig and support the chapter in the administrative field, which was a new subject for me and I still learn new things in this field. Hi, my name is Sophie and I’m the president of the chapter in Reutlingen, Germany. I joined oikos right after starting my studies of International Fashion Retail in 2014 and it made me aware of the importance and diversity of sustainability. Since that point in time, I’m striving to gain more knowledge and decided to put a focus on the topic for my future career. 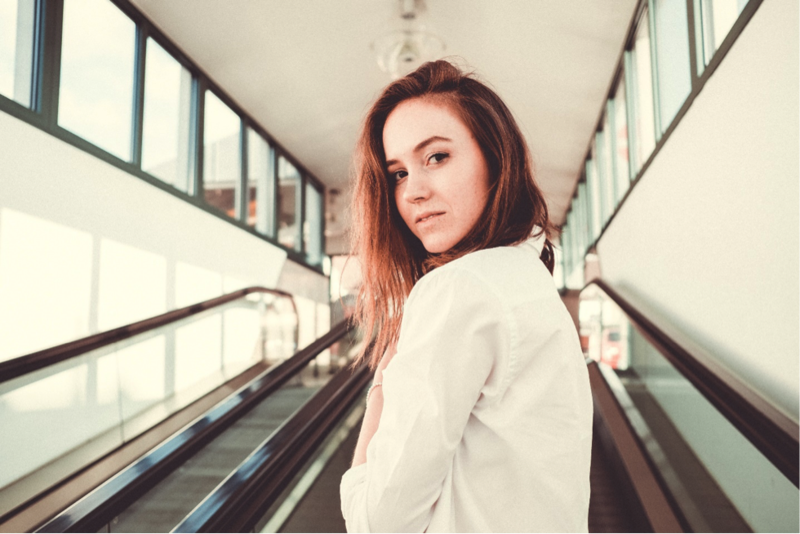 The fashion industry is not what anyone might call sustainable – so there are enough problems to solve and I’m excited to contribute to the upcoming solutions! I already participated in several programs, also during my semester abroad in Scotland, and I’m going to write my bachelor thesis on sustainability in the denim industry in collaboration with Levi’s beginning of next year. In my free time, I love doing any kind of sports, especially dancing. Nicknamed Fred, I was born in Stuttgart but spent most of my 23 years away from home – be it in boarding schools, on a year abroad, travelling the world or studying in Vienna. My first approach to sustainability was land use and all the aspects connected to that: agriculture, urbanism, land grabbing; all this led me to obtain my undergrad in landscape planning and landscape architecture. Just 2 years ago, I started realizing, that there is so much more to sustainability, leading me to study about Eco Design and Regenerative Energy Systems. My goal is to consult companies on how to reduce their environmental impact economically and effectively. I consider progress and development to be my biggest “interest”; be it for me personally or the world as whole. 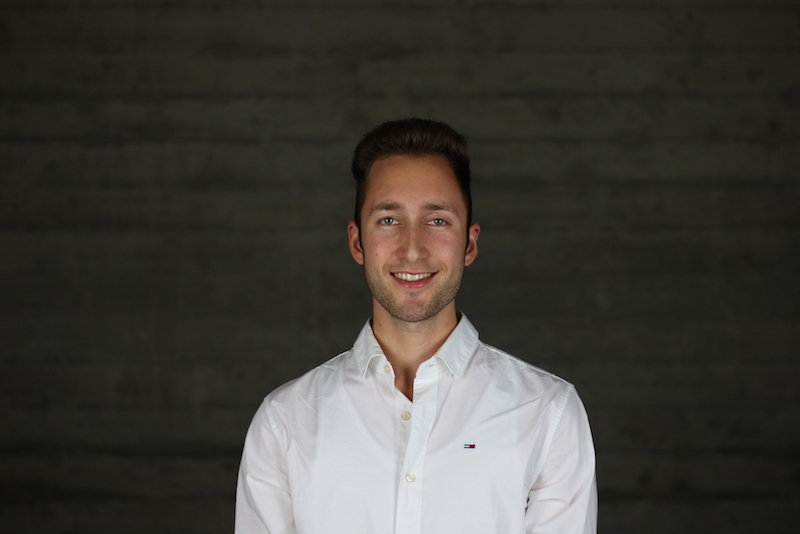 My name is Luca Eggenschwiler, I’m 23 years old and I come from Zurich, Switzerland. I study Business Administration and I’m currently in my 5th semester at the HSG. Starting this fall semester, I’ll be the president of oikos St.Gallen. Before that, I was part of the organzing team of the „ENRG-Days 2017 @HSG“. My hobbies include playing Tennis and travelling. This summer I organized an exchange for 20 students from Beijing University as well as 20 students from HSG and we travelled in Switzerland for 10 days before we went to Beijing for 10 days. Hi there! 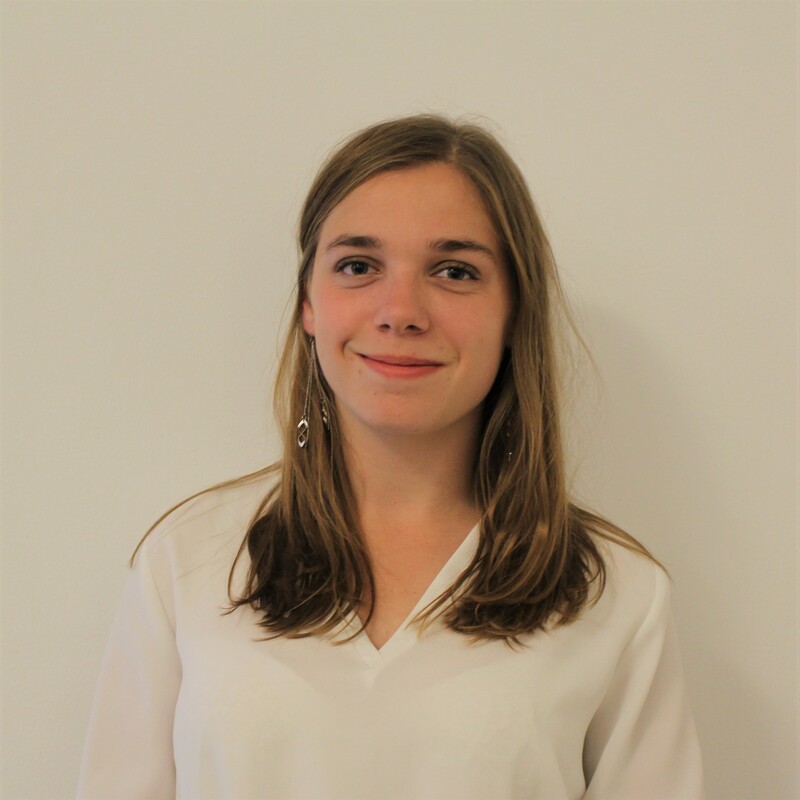 I am José, a Dutch girl, currently started my last master year Behavioral Economics at the Sorbonne University in Paris. Before I came to Paris, I finished my masters in Neuropsychology in the Netherlands and worked for a couple of years at an epilepsy centre as a neuropsychologist. Several things made me change my mind about my career and I decided I wanted to focus more on economics, management and policy (which led to my current studies). Over the years I became more interested to develop a career in sustainability. I am aware of this very complex problem and I belief my combination of my background as a psychologist and my current studies helps me to think about this in multiple ways. As (future) president of the oikos Paris chapter, which is a just newly revived chapter, I am happy to being more involved with sustainability and making people more aware. I am looking forward to the LEAP meeting and getting inspired by the other oikos members! 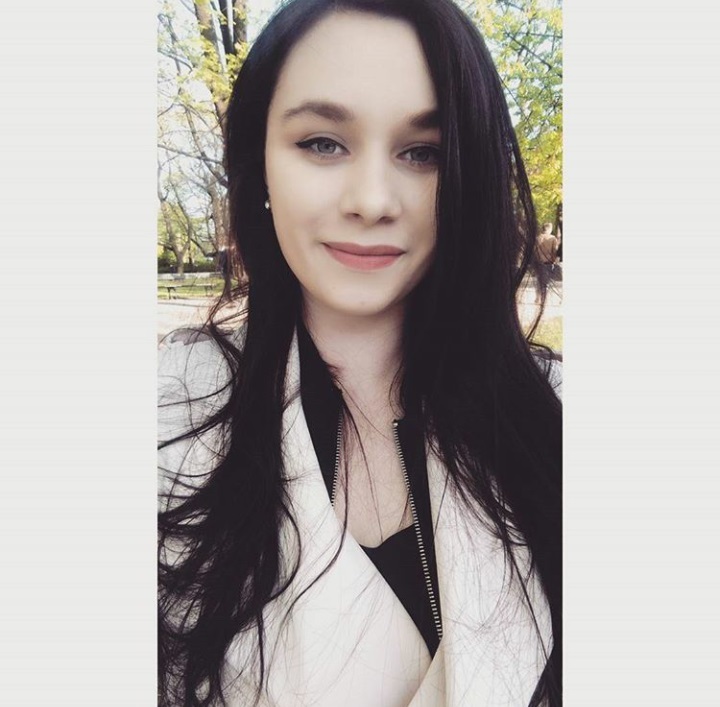 My name is Jasmin, I am 23 years old and study International Business Studies in my sixth bachelor semester in Paderborn. I set my focus on sustainability and will start a specialized master program next year. In our position of board members, Hannah and me will be representing the chapter of Paderborn at LEAP. In my free time I do sports such as volleyball and fitness, improve my spanish skills or (desperately) trying to learn how to play the guitar and piano. During semester breaks I follow my passion for backpacking and have seen quite a few places so far. Creating a sustainable farming model that couple’s renewable energy sources to a desalinization plant in order to provide fresh water and energy needed for crops. This model also looks at using industrial hemp for phytoremediation of brown fields back into usable and uncontaminated lands. I plan to attend a PhD program next fall and am currently working on my paper of publishable quality for my applications. Hi, my name is Anna and I’m from Poland. I study at the University of Warsaw. I’m friendly and sometimes shy. I try to think positive. I like getting to know new interesting places, so I like to travel. I am 21 years old and I am originally from Guatemala. I am currently studying my BBA program in ESADE Business School and I am enrolled in third year. I started being an active member in oikos since one year ago and I am excited be able to be the Vice-president of my chapter in this academic year. I have lived in three different countries (Guatemala, France, and Spain) and this has helped me to expand my knowledge and have great and new experiences. My interests include listening to music, watching TV shows, and traveling. I am human, love brainstorming & experimenting new ideas or new projects. oikos is the perfect place for this while spreading a valuable message. Beyond all, cycling & windsurfing and exchanging with people is what drives me forward. As a team-player, I’m very open to critics and ideas shifting. My motto? There is always room for improvement. My name is Zvezdana Vuletic and I am a member of oikos for a year. I am a student of the third year of the Faculty of Political Sciences, University of Belgrade, Serbia. Beside studying I have been debating over two years. I am all about getting to know new cultures and languages, in the moment French and Spanish are my occupation. In my free time I am trying to volunteer as much as I can and find time for yoga. I participated in numerous conferences and seminars in the field of politics, security and sustainable development. Very passionate about environmental protection and sustainable development and I want my profession to go in that direction. My name is Giorgi Devrisashvili. I am studying at Tbilisi State University, faculty of Economics and Business. I was a volunteer in Social Enterpreneurship School, which was held by Think Young in February 2017 in Tbilisi. Currently I am working as a sales rep in an international brokerage company. I am going to get an MBA abroad. After finishing my studies I would like to set up a Social Enterprise in Georgia. 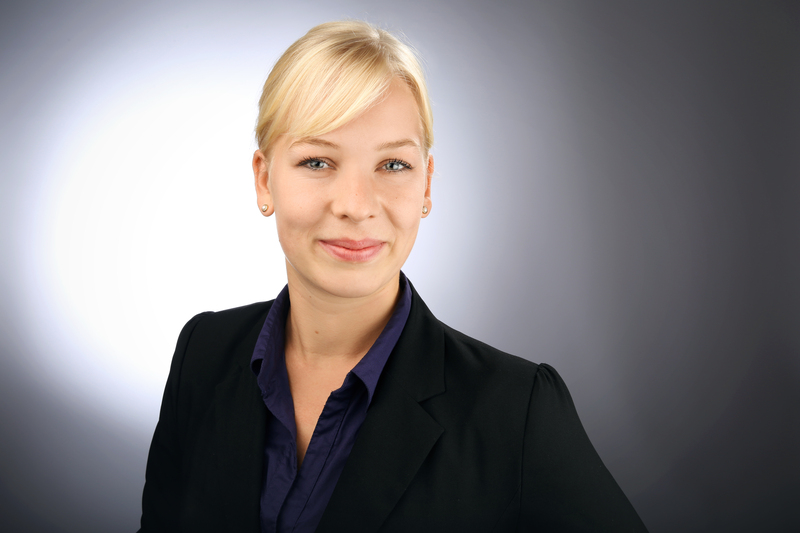 My name is Kathrin and I am studying International Business at Reutlingen University, Germany. I love arts, music, photography and outdoor sports. I lived for 2 years in South America, volunteering in many beautiful countries. I am very interested in social entrepreneurship and the sharing economy, because I think with the right purpose, people, passion and strategy, business can do good. I am a very positive person, and you will always find me with a smile, especially when I am around passionate and authentic people – and I guess I will meet many of them in the Oikos LEAP programme! My all-time goal is to make people happy. 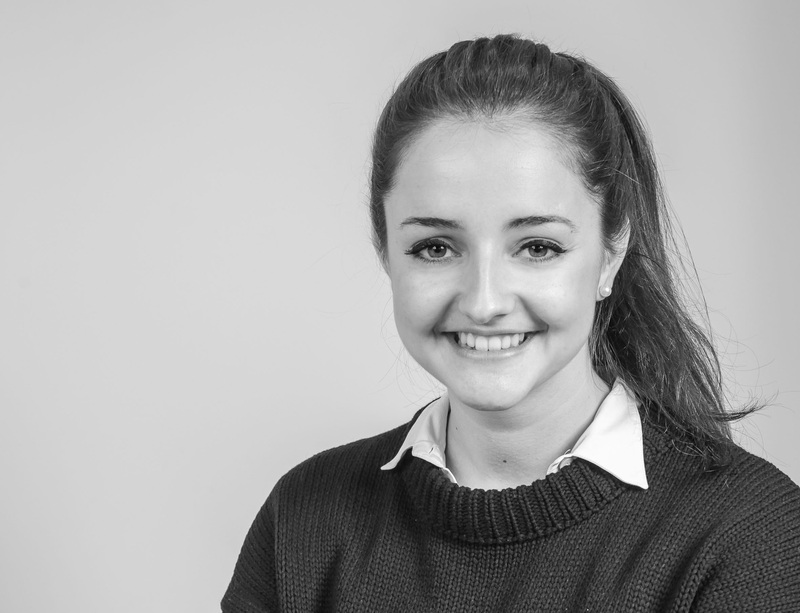 After finishing her A levels in 2015, Flora Dicke volunteered in Kasama, Zambia, for one year. 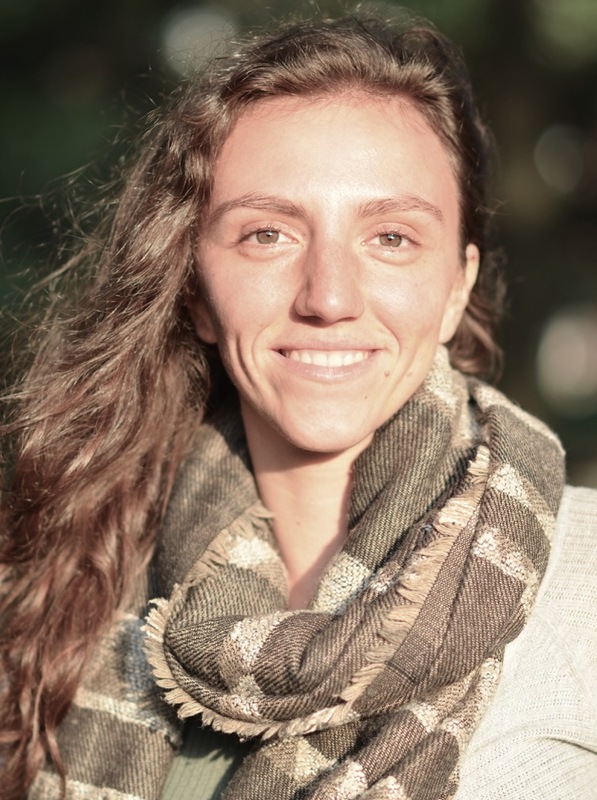 Among other engagements, she helped MIJARC World, an umbrella organization representing the catholic, agricultural, and rural youth movements, in the preparation of their general assembly and workshop on the SDGs taking place in Warangal, India, in October 2016. 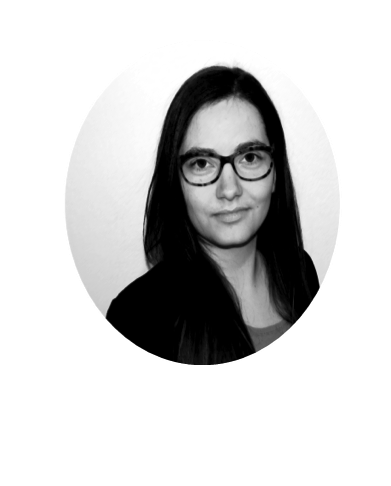 Following this, she started her studies in Philosophy, Politics and Economics in Witten/Herdecke and is now part of the planning Team for the oikos Winter School 2018 which will address the topic of sustainability in the private foreign aid sector. In her free time she is likely to be found in a dance hall, swimming pool or in the kitchen preparing food with friends. 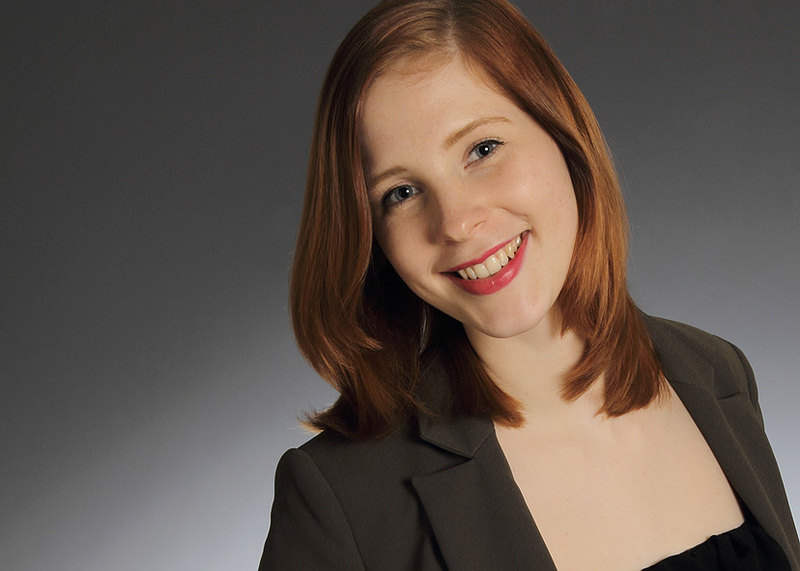 I’m 20 years old and student of Business Administration in Bayreuth. I always loved volunteer work in school and now at university. I joined oikos because of the recommendation of an oikos St Gallen alumnus. With my studies and my oikos work I hope to make the world a better place and to show other people how important sustainability and responsibility is for a common, fair and enjoyable future. With the help of the LEAP Programme I wish to get new ideas and inspiration and to share my aims with like-minded people. My name is Vusal Abasov. Originally Azerbaijani I lived in Russia for 10 years. 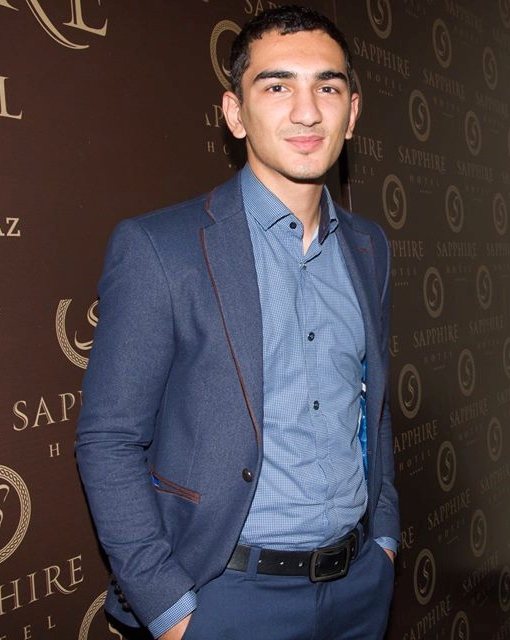 I am an enthusiastic young professional with the background in economics in the University of Economics in Azerbaijan. I am also a fight master in kickboxing and boxing. Active involvement in social and cultural activities is my passion. My main goal is contribution as a responsible leader and citizen to societies; to make a strong positive impact on them on the basis of sustainable development. Currently I am graduated and working as a “study program specialist” in the Azerbaijan State University of Economics. University, Pune, India. 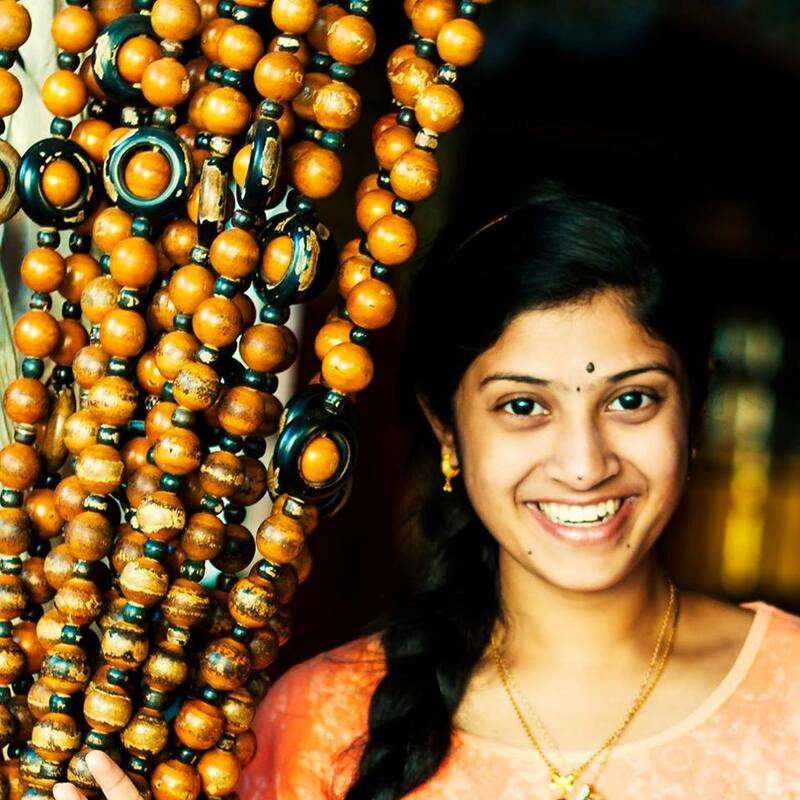 Current lack of awareness about sustainability issues in India rose her interest to work in this field. At oikos Pune, Sanober was involved in many activities including organizing the Design Thinking Workshop and oikos Asia Meet 2014. Learning Circle Manager where she contributes on topics like Environmental Social Governance. As Executive Board member, she strengthen the Alumni network by initiating projects along with guidance to the oikos chapter and reviving them. English Tutor. She also volunteers to teach languages at schools for under privileged children in India. Sanober likes to cook, dance and travel during her free time. 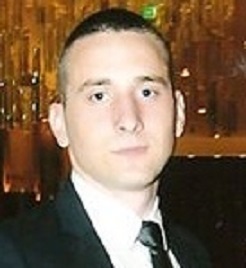 Levan studied his Bachelor and Master studies in Economics at Tbilisi State University (Georgia) and Lodz University (Poland). He was Executive Board member of oikos International from 2012 till 2016. 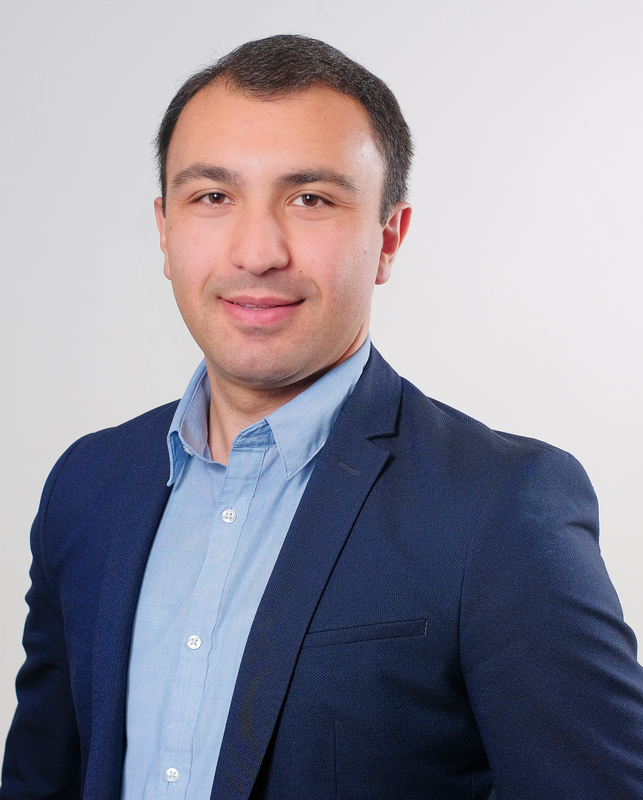 He founded oikos Tbilisi in 2011, where he served as the president of the local chapter. He was founder and director of oikos Summer Schools, chief organizer of the first oikos CEE Regional Meeting in 2012. He has several years of managerial experience, working as a head of some local organizations in Georgia. His area of interest is sustainable development of economics, as well as in-depth research of other fields connected to it. His efforts to increase awareness of sustainability across Georgia and Caucasus Region are widely recognized and talked about by academia in Georgia. In his free time he likes to travel, hike and play basketball. 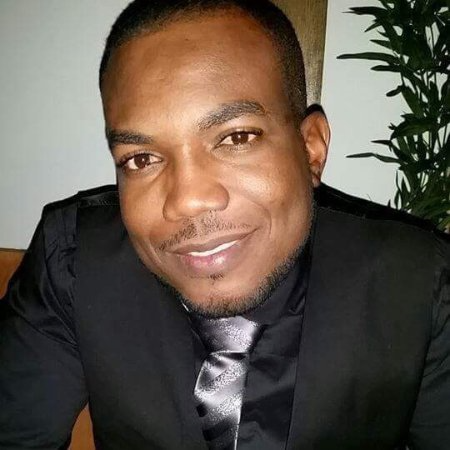 I am an Environmental Engineer with progressive experience in conserving biodiversity and natural ecosystems, and sustainability development projects in Haiti. I obtained my bachelor degree at the Universidad ISA in Dominican Republic. I am currently pursuing a master degree on Environmental Policy and Sustainability Management at the Milano School of International Affairs Management and Urban Policy, The New School, New York, NY. I have worked with different nonprofit organization in Haiti for over 9 years. Through my professional activities, I developed new leaderships in the communities, engaged and trained young people, and empowered women. I have global mind-set to deal with different culture and understanding of the political and societal impacts on socio-economic development and environmental issues across multiple countries. I speak French, Spanish, English, and I am currently learning Arabic. Marios Konstantinos Pavlakis was born in Athens, Greece and grew up in the island of Evia, in a fishing village named Karystos. 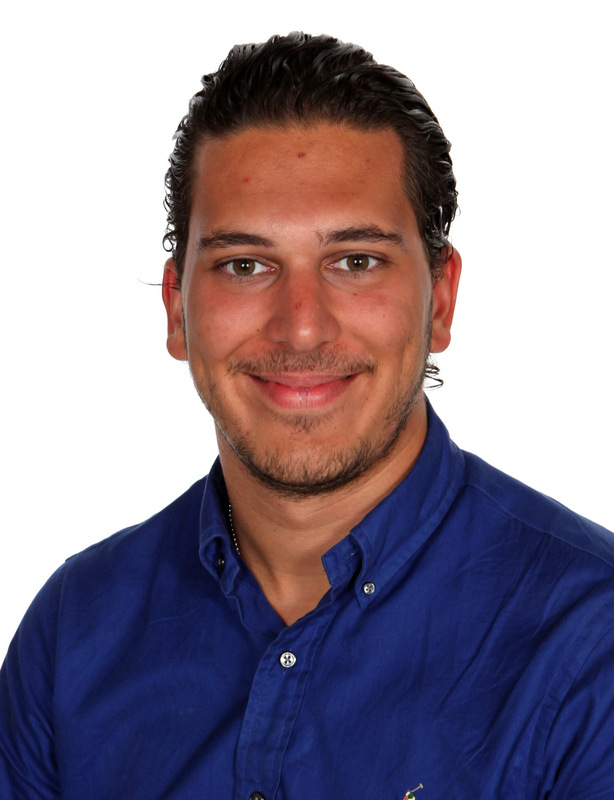 After his graduation from the high school of the island, Marios moved to Athens in order to pursue his studies in Economics and Government at the American College of Greece. 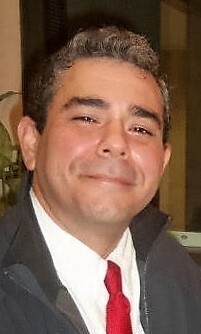 While a student there, Marios was heavily involved in student life and during the previous academic year he was the president of the college’s student association. 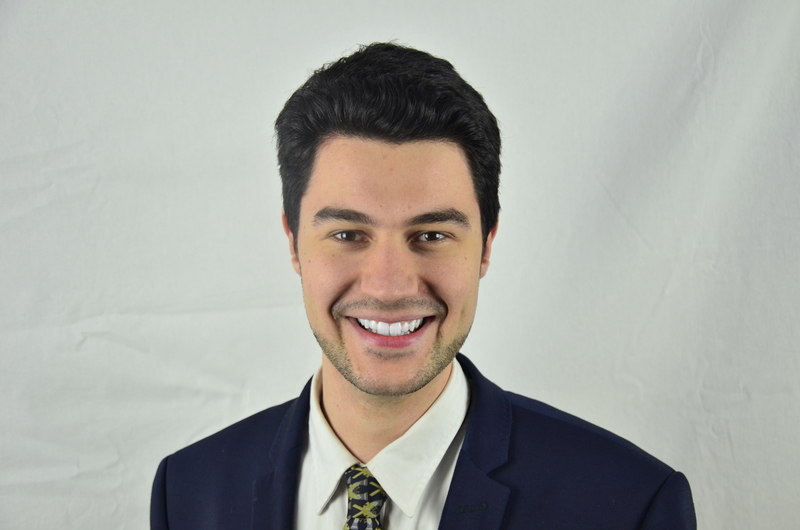 During his freshman and sophomore year, Marios was working as the assistant of the Public Diplomacy Officer at the American Embassy in Athens. While there, Marios assisted on the implementation of public diplomacy programs and handled media outlets. After completing these two years of study and work, he felt the need to expand his academic horizons, reaching to a more international perspective of his academic subject. As a result he transferred to The New School in New York to continue his studies and pursue a double major in Economics and Global Studies. Marios loves traveling and speaks five languages, as well as he holds a black belt in Karate. Adriana is the Program Manager of oikos. She has more than 12 years of professional experience in five continents in both private and non-profit sector organizations. 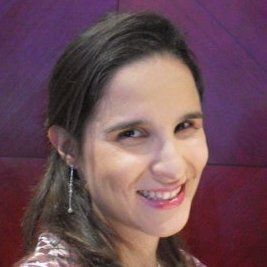 She holds a bachelor’s degree in International Relations from FAAP in São Paulo, Brazil, and an International Organization MBA from University of Geneva, Switzerland. She is also completed a certified Coaching Training at Newfield Network USA and leads the Leadership Programme (LEAP) in oikos. She is passionate about empowering and developing young leaders to create sustainable solutions to the world. Chris Taylor is Director of the Oasis Foundation, a UK charity dedicated to radical social change. He is passionate about building a more sustainable and just world. Having spent that past decade learning the art of intensive group processes and deep personal transformation, Chris has developed a unique approach to supporting change. This involves working with individuals and organisations to find purpose, create energy, and release potential. Chris brings this intuitive and impactful approach to his work with groups and to one-to-one development. People describe his approach as “transformative”, “seeing beyond the surface and pressing all the right buttons”, even “subtle shamanism”. 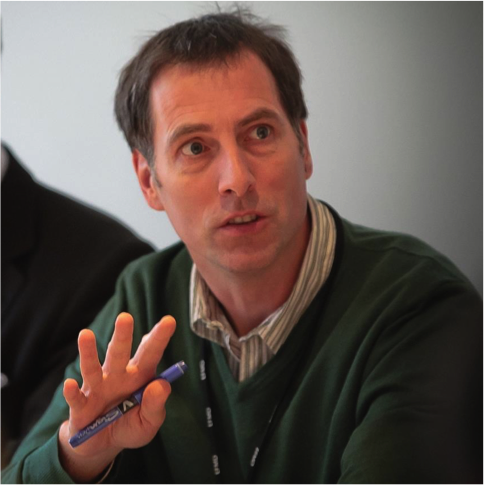 In the UK Chris has worked with business on sustainability, helped develop capacity in a wide range of voluntary organisations and his mentored numerous current and future leaders. He also designs and facilitates programmes for social and environmental activists. Internationally he has mentored young change-makers in management education and held workshops in China, Europe and the US. Prior to working with Oasis, Chris had over fifteen years in management, including five years at Director level. He also has extensive experience in the voluntary and community sector, both as a campaigns organiser and as a Director of several successful social enterprises. Chris is married with three adult children. He is a music-lover, has been learning tai chi for nearly twenty years and is honing his skills as a performance poet. 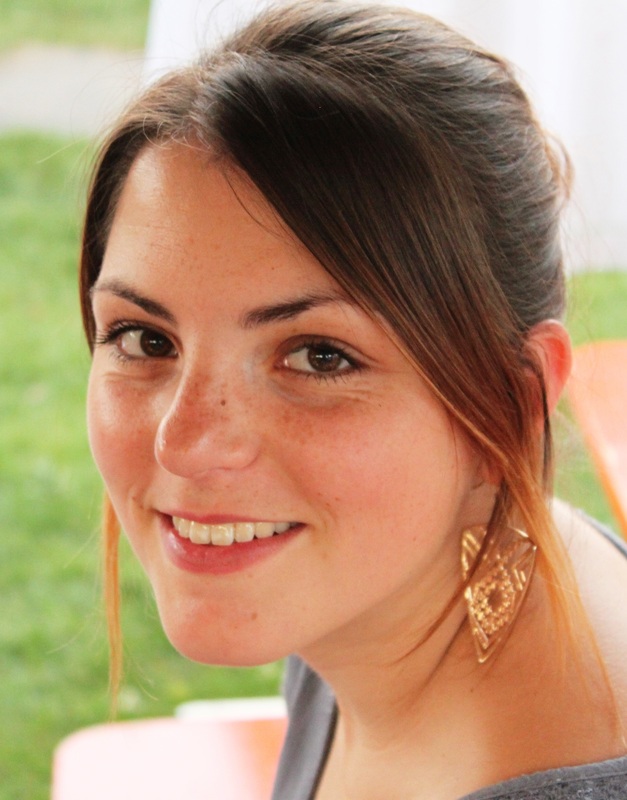 Quinn Runkle is the Education for Sustainable Development Programme Manager at the National Union of Students (UK). 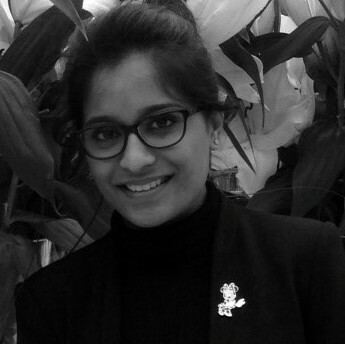 She leads NUS’ work on Education for Sustainable Development (ESD) and manages the Responsible Futures programme which supports universities, colleges, and students unions to embed ESD throughout the formal and informal curricula. 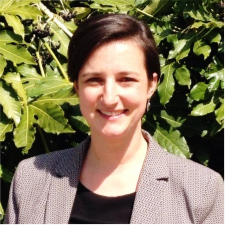 Quinn’s experience includes managing student and staff behaviour change and engagement programmes for sustainability at the University of Bristol (UK) and the University of British Columbia (Canada). 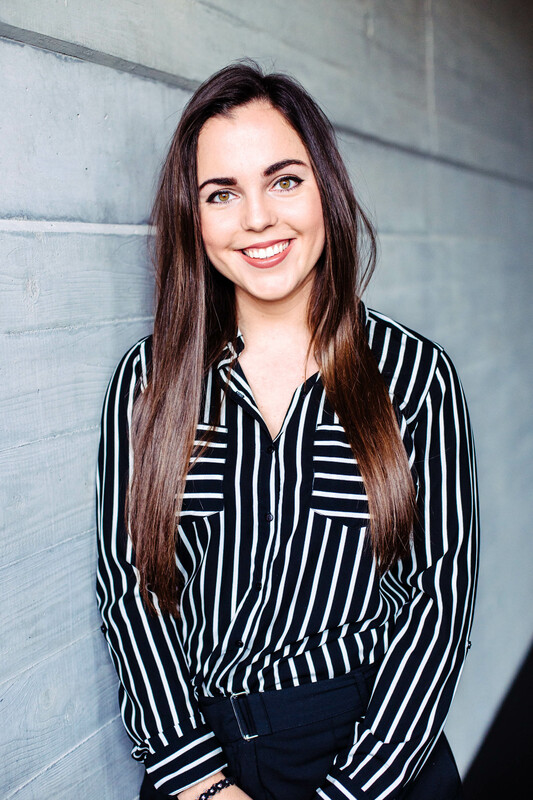 Quinn has a Bachelor of Arts in Geography and Political Science with a specialism in Environment and Sustainability from the University of British Columbia. My name is Delia Ostach and I’m 22 years old. I live in Paderborn, North-Rhine Westphalia in Germany where I study English literature and culture and cultural textile studies. I’ve always been interested in nature and I’ve always loved to go for walks and experience the forest, mountains and rivers. 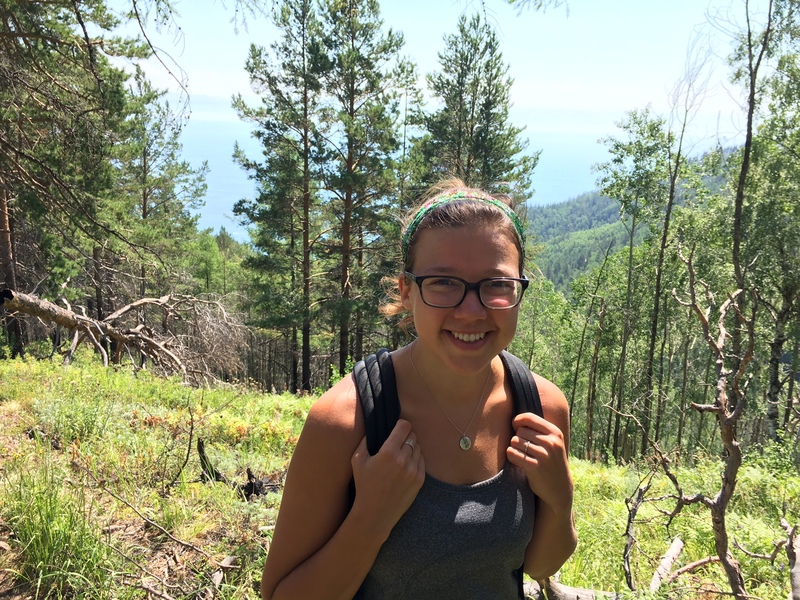 By being a part of oikos, I’m experiencing the possibility to go further than just appreciating nature, but really being able to learn more about how we can influence the economy to help preserve nature. I love meeting new inspiring people that I can learn from. After attending the Spring Meeting 2017, I could live on the ideas and people I met for a long time. Therefore, I’m curious and happy to get to know more in the next few days! My name is Katrin and I am 21 years old. 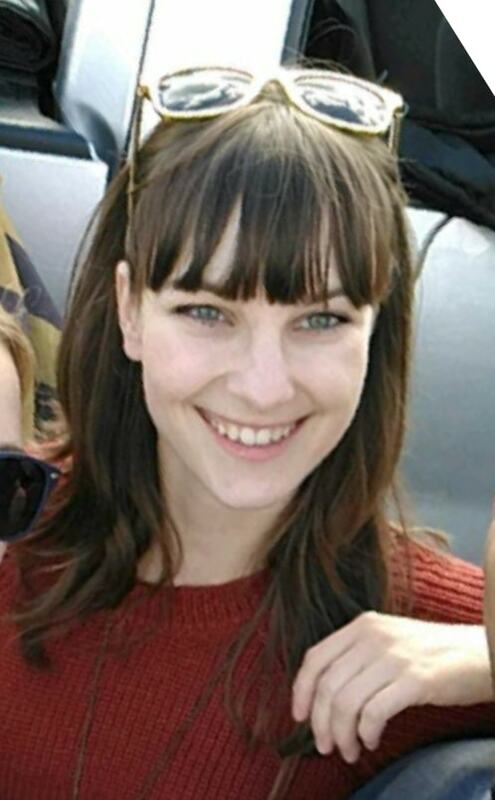 I am originally from Belgium and moved to France for 4 years during high school.After high school I took a gap year to learn japanese and to volunteer in Aia. 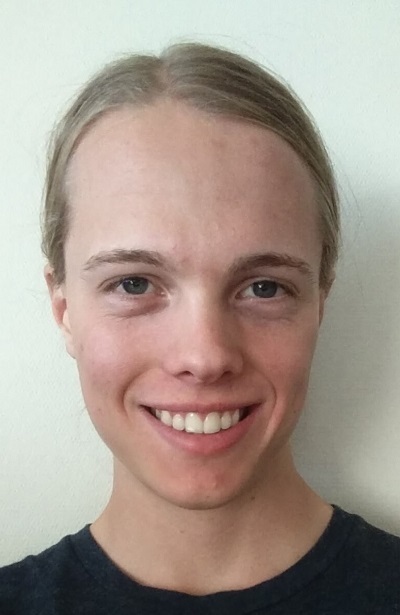 I am currently studying my second year of my bachelor in Copenhagen. I love photography and drawing, and also am interested in Asian cultures, particularly Japan, and started learning Japanese a couple of years ago. From there I decided to my bachelors in international business with Asia. I’m Irie Ewers (like, eye-ree) an Environmental Studies undergraduate senior at The New School in NYC. I’m passionate about understanding personal livelihoods, ecological sciences, sustainable business development, and poetry. My motto for life is inspired by anthropologist Margaret Mead’s quote, “Never doubt that a small group of thoughtful, committed citizens can change the world; indeed, it’s the only thing that ever has.” While living in rural Ecuador freshman year I interned for a micro-finance agricultural cooperative. There, I was fascinated by the concept of generating economic equity through private reform. I love studying supply chains, life cycles, and examining the complexity between the forces driving people to do what they do, and the broader contextual framework in which these decisions are situated. 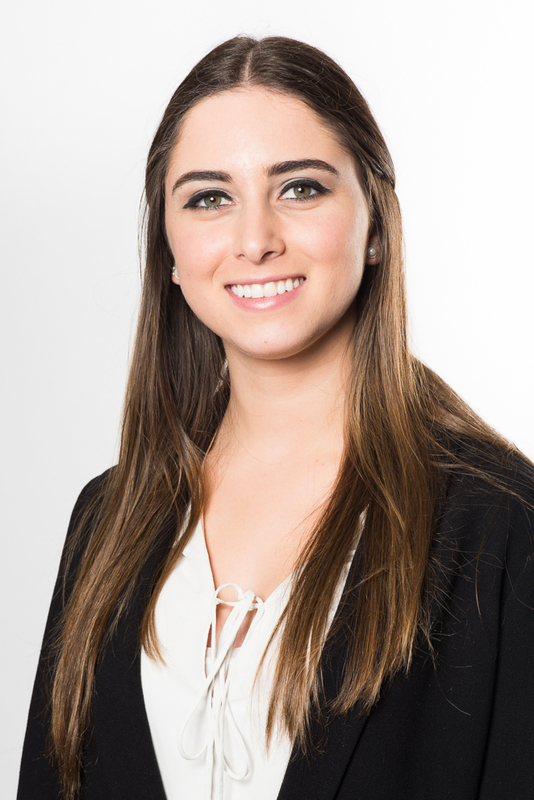 This past summer, I recently completed an internship at Rockefeller & Co as an Environmental Social Governance analyst for the socially responsible investment team. In NYC, you can find me eating all the ice cream, drinking all the coffee, playing field hockey with my local club, and wishing I had a dachshund named Cheeto. 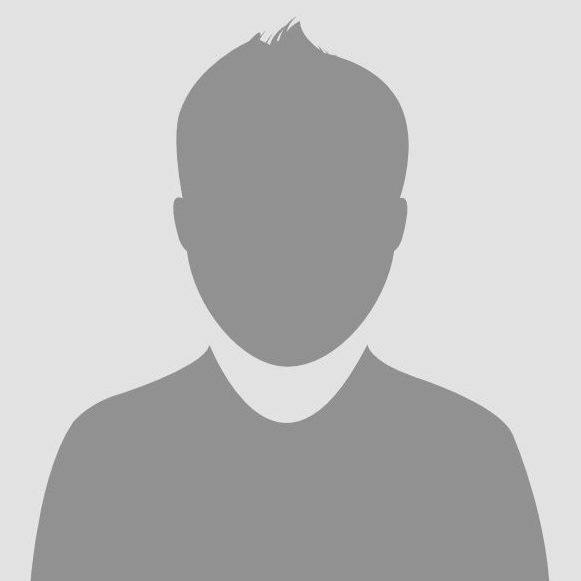 Hi, this is Abhishek Kankani. I’m currently in my final year of B.Tech (Computer Science) at the Vellore Institute of Technology, Vellore. I hail from a business background and love coding, so am passionate about clubbing the two things together. Also, I love food!. I am Leo Mrudula Tanari, President at oikos Kolkata Chapter, India. 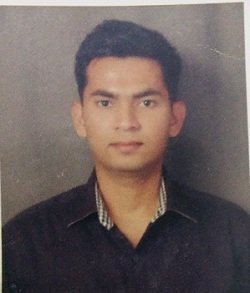 I have graduated from JNTU Kakinada in the stream of Civil Engineering. As of now I am pursuing Management in IIM Calcutta. I have ardent interest in Environment and sustainability. I believe that businesses can be built in harmony with environment and my major thesis in my under grad was focused on this very point. My previous responsibilities in an international body include being the district council president to International Leo Club (a branch of International Lions Club for students) through which I had the opportunity to take part and serve in many community related activities. I am an Indian classical singer and play badminton. I love reading books and handicrafts and painting are my stress busters. I love travelling to places and I am a big foodie. I enjoy clicking pictures of different dishes, appreciating food and writing about various culinary. I am open to try all sorts of cuisine. I am Salome Tskhoidze, 20 years old. I am currently studying on Economics and Bussines Faculty at Tbilisi State University. I am fond of finance and I am working at finacial consulting centre as an accountant. I am a member of oikos Tbilisi one year. In my spare time, I am with my friends. I am very sociable and I believe that I will make friends from LEAP Programme. Hi! 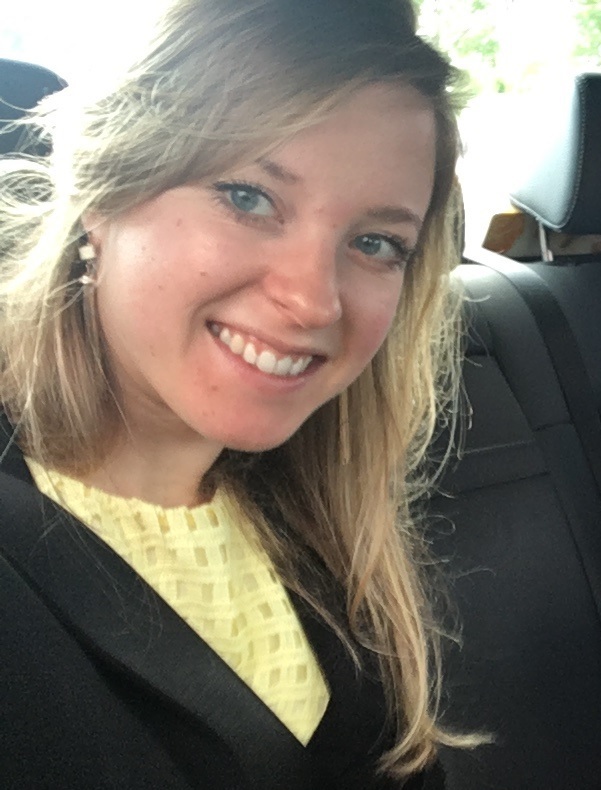 My name is Eva, I am an Economics and Business Administration student at the University of Tübingen and have been a member at my local oikos chapter for 3 years. 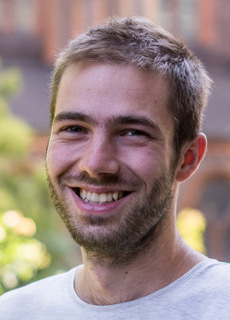 Since July I am the co-president of oikos Tübingen. Originally, I am from Berlin where I also completed an apprenticeship in hotel business before my university studies. I am interested in sustainability and management and how we can support businesses to be more sustainable in future. 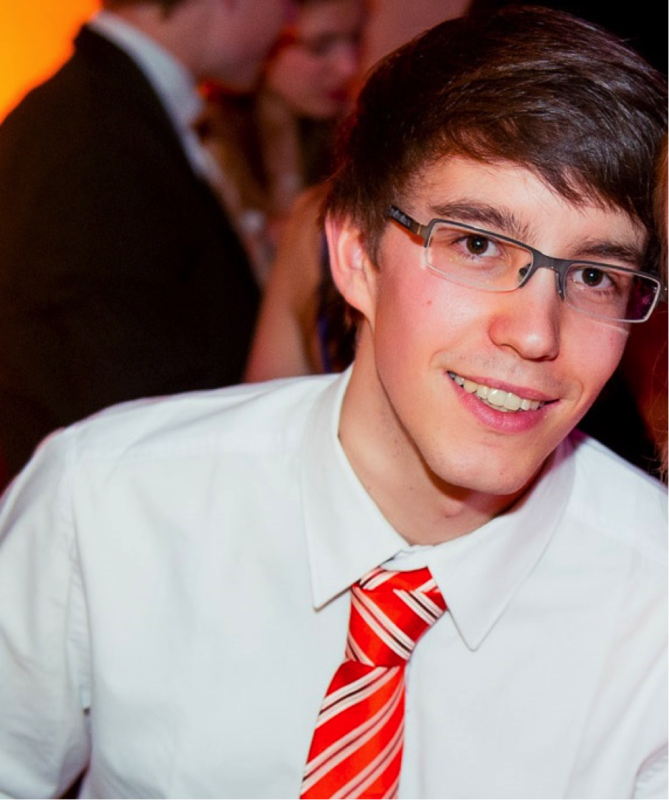 My name is Mike Brodersen and I am studying socio economics at the University of Hamburg. I am working as the head of finance by oikos Hamburg at this moment. I would like to know more about theory of sustainability and I want to gain practical experience in projects with people who have the same motivation for this content. In addition, I like to be a part of an international student organisation with a great network of people who have the same inspiration. Furthermore, I want to attract other people to the concept of sustainability and its impact on our society. My focus is in sustainable consumption and finance. Nadja combines a highly structured and analytical business profile (8 years in management consulting and corporate experience across sectors, Master’s degree in business) with a passion for the empowerment of people (change management practitioner, trainer, coach, people development and employee engagement professional) and the determination to drive positive change in our world through social impact (volunteer management coach for NGO, programme manager for social entrepreneurship accelerator). 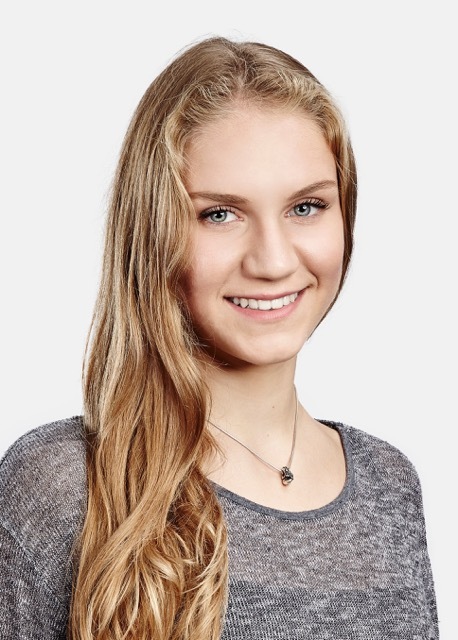 In addition, Nadja has a highly international and multilingual profile, having worked in 10 countries across 5 continents and speaking 4 languages fluently. Her strong interpersonal skills define the success of her work through a high level of adaptability, cultural understanding, sense of inclusion and integrity. My name is Svante and I’m in my bachelor of Information Technology and for my masters I’m thinking of Industrial Ecology or something similar. I have always cared for the well-being of our planet but I didn’t understood my interest for it until early last year when one of the biggest scams in modern time was revealed to me, the meat and dairy industry. Since then I’ve been vegan and gained more and more interest for sustainability. I wasn’t happy anymore by just living my own life as sustainable as possible so shortly after I joined CSS, Chalmers Students for Sustainability. CSS is a student driven society on Chalmers university and works with all the SDGs by spreading the word trough Gothenburg, engage student in sustainable projects and making Chalmers a more sustainable campus (We had a big role in making Chalmers the first Swedish university to divest from fossil fuels). Email us to learn more about how to contribute as a speaker, donor, coach or get involved as a student.